HomeNewsNEWS: Reading and Leeds festival make first line-up announcement! NEWS: Reading and Leeds festival make first line-up announcement! 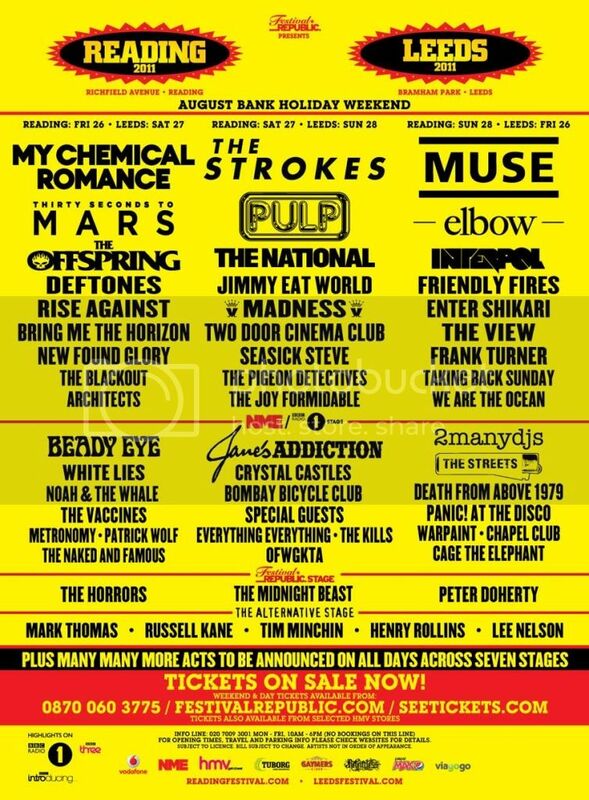 Reading/Leeds Festival takes place across August 26th – August 28th. Tickets can be purchased from the official Reading site or Leeds site. If you want to see an enlarged version of the poster, simply click on the image above. NEWS: Gerard Way confesses ‘The Black Parade’ was to end My Chemical Romance!